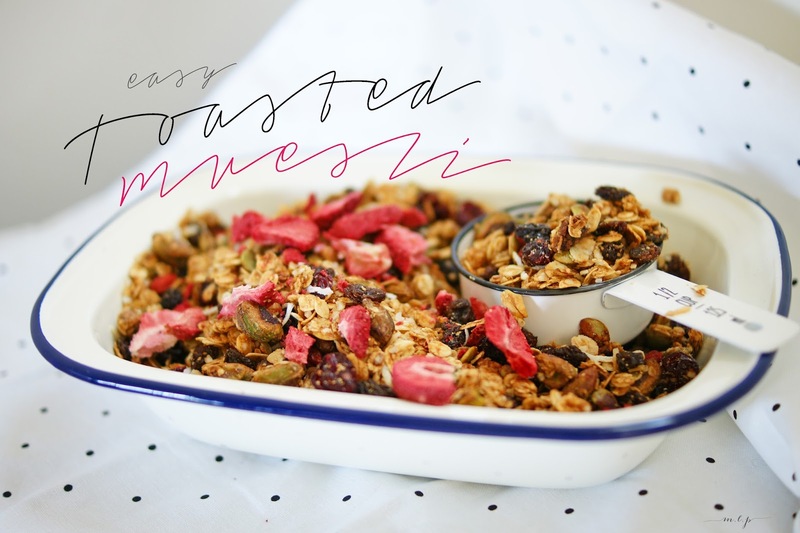 What is Muesli and what is Granola? I've never known the difference between the two, except to find that the Americans call it Granola, while us folk Down Under call it Muesli. Since the last time I posted about Granola, I've just made my own Granola/Muesli alternating the flavours with the syrup, fruit & nut mixture, but ALWAYS toast it. The base ingredients and the ratio for the proportions always remains the same, just remember THREE of everything except for the toasted shredded coconut! 3 handfuls of dried fruit - any dried fruit you fancy! Sprinkle over a couple of tsps of Cinnamon before toasting if you like too! For the past year, I've just been rotating around different flavours depending what we're feeling like. 3. Place in the oven to toast for 20-30 minutes, or until lightly golden brown. 4. Stir the mixture half way through cooking time to ensure even toasting. 5. 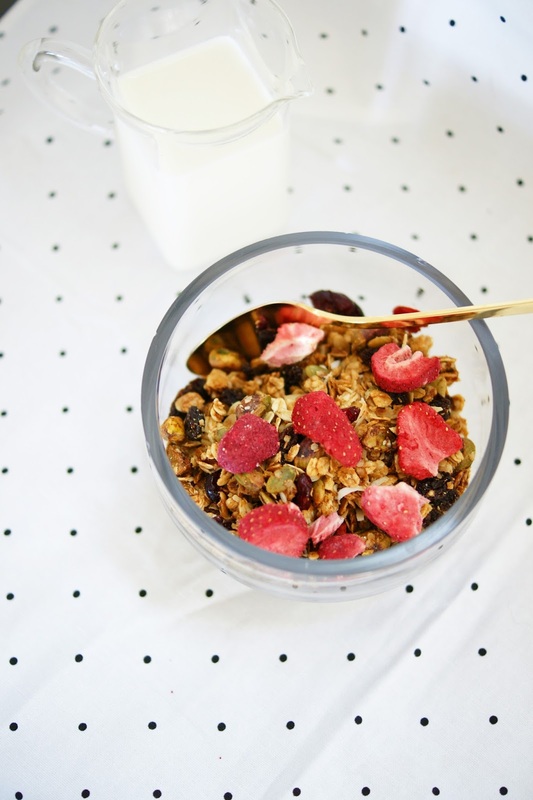 Once lightly golden pull out of the oven, ensure the muesli mix is dry, pour the muesli mix into a separate dry bowl and toss through your dried fruit or puffed cereal. Leave to cool. 6. 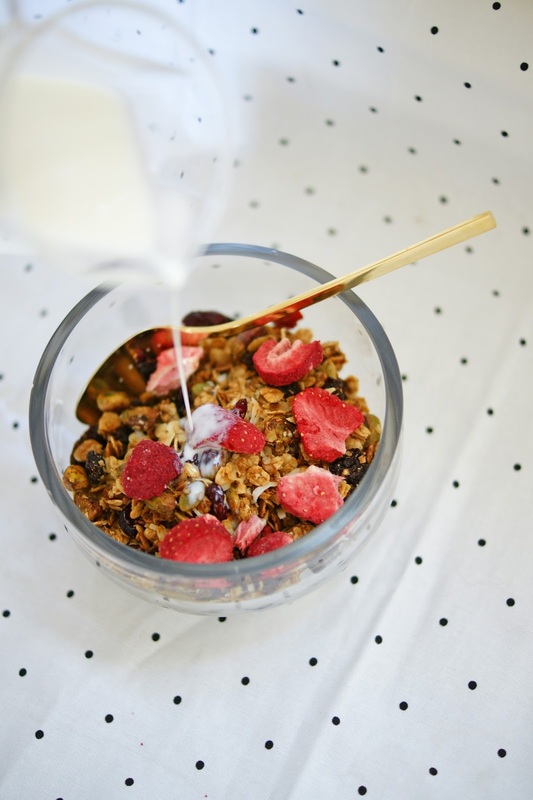 Eat with you favourite milky accompaniment, be it Almond Milk, Skim Milk, Soy, whatever. And store the rest in an Airtight Jar/Container for up to 2 weeks! We had the best time at the Whitsundays, and although we missed out on the day tours out to the other Whitsunday islands, we managed to switch off from work (big tick! ), relax, eat, drink, squeeze in a bit of fitness, great movie and book time, learned to paddle board, gained a bit of a summery tan and spent great time with close friends. The 10 days off work felt long and glorious. Yes Yes, let's do it again ...and again... next time at this place? yes please!